I have 3 year-old twins and sometimes I just don’t find the time within 30 days to watch my rentals. I have multiple Apple computers and two Apple TVs, and rentals made on a computer don’t transfer to my Apple TV automatically. I don’t understand the reasoning behind limiting a rental period to 30 days to watch. 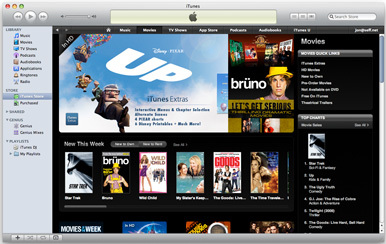 As long as the rental is available on the iTunes store, shouldn’t the ability to watch a rental remain active? What’s the big deal with limiting the time-to-watch? As an app developer, my customers buy my app, own it forever, and I can never charge an upgrade, but I can’t keep a movie rental around for more than 30 days? Also, Apple touts its total integrated experience, but sadly this doesn’t apply to movie rentals. 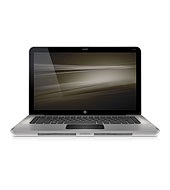 If I make a rental purchase on iTunes on my old laptop, I have to turn it on and keep it on for the duration of my viewing of a movie on my Apple TVs. Huh? The Apple TV knows about my iTunes account. Why can’t it pick up my rentals and allow me to watch them? Rentals made on a computer don’t even show up in the Movie area of the Apple TV! After my recent experiences I am hesitant to do any more rentals unless I am sure we will start watching them immediately. I do plan to keep an eye out for a better on-line rental service. We’ve used both of these devices for several months at GamesForOne. The following is our thoughts on the relative merits of each device. This brief review will henceforth term the devices as simply the “iPad” and “Asus”. The iPad has a better fit and finish than the Asus. However, the iPad weight seems excessive and it does not balance well when holding with one hand. The slippery feel of the surfaces also makes the iPad more difficult to hold. It is simply uncomfortable for long sessions. We added an M-Edge case which helps but the hard plastic edge tabs of the case that hold the iPad dig into our hands. It also adds further weight making the whole thing more bulky. The Asus fits better in our hand. The textured rear surface also feels more secure when you are holding the device. It feels much lighter and better-balanced in the hand. No case is required in our opinion and we have a simple sleeve to store the device for transit. We also prefer the 1280x800 pixels, 16:10 aspect ratio vs. the iPad’s 4:3 aspect ratio. The quality of the rear camera pictures seem about the same with the exception that we have noticed the Asus blurs the extreme left edge of every photo. It appears we will need to return the Asus for servicing as it appears to be a defect with the camera itself. That’s unfortunate because given the light weight and balance of the Asus it makes for a decent snapshot camera for day trips. We’ve seen no major difference in battery life and in fact would give a slight edge to the Asus. The number of titles in the Google Play store is growing, but iOS seems to have the better implementations. For example, we love Zite in particular and the iPad version is superior. The Android version is still optimized for the cellphone-sized screen. Since Apple has fewer devices the software titles are well-optimized for the iPhone and iPad. With Android there are many titles that are not optimized for a tablet-sized device, plus many apps do not make use of the newest Android features since so many devices are already in circulation that are not running Android 4+. Those Android apps that are optimized for the latest versions of Android and for tablet-sized screens are often just as good as their iOS counterparts, but the selection of such titles is limited. We generally do not care for the bundled apps confusion. There is the standard Android method of doing a task, and then perhaps 2 or 3 more 3rd party apps installed that do the same thing or something very similar. It simply adds to the confusion and clutter of using Android. Most of the time these bundled apps seem to be more about branding and advertising additional features from the device vendor rather than truly a better app. It is similar to the “bloatware” issue that customers of Windows PC complain about. Not sure exactly why but web browsing with the Android device seems slow and jerky. Pages take too long to render and then will only partially scroll as other page elements render. Then there is the fact that many 3rd party apps seem to implement their own HTML rendering interface which sometime render in a small fixed-size font without the ability to zoom. Browsing the web is just a smoother experience on the iPad. Android needs a much better web browsing experience. We’ve tried the built-in Android web browser, Google Chrome, and the latest Firefox for Android. All have improved, but none measure up to Safari or Chrome on iOS for consistency. We do prefer the Gmail implementation on the Asus tablet. It is clean, uncluttered, and responsive. We simply find it easier to use than the iOS mail app. Music organization, browsing, and playing are all superior with iTunes on iOS. Why this is not built-in to Android is beyond our comprehension. The complexity of moving and organizing music libraries on the Asus is an aggravation (we bought doubleTwist but it is not the same smooth experience as the iTunes player on iOS). Document access and management, on the other hand, is much easier with the Asus and Android. There are numerous methods of accessing files directly on the device and you can organize, transfer, and backup documents at will. The hidden, closed filesystem in iOS is a hindrance for developers like us that are used to working with our own files as we see fit. The Asus supports the latest Android release (4.2 Jelly Bean) and many software titles have been improving. Android app updates usually add new features and better interfaces. However, iOS is still a superior interface experience as the interface is more consistently creamy-smooth for just about every app we’ve tried. We do prefer the ability to order via the web via Google Play rather than be forced to use iTunes or the App Store app to make app purchases. Google Play knows what devices you have registered and you can place an order via the web interface and it will be pushed to your device(s). This is simply a much better experience than the clunky Apple store interface. We like being able to search and purchase apps with a speedier and spacious web interface on our other computing devices. 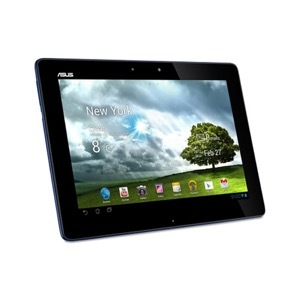 We’ve seen the Asus Transformer TF300 on sale for as low as $320. Given its 32GB of standard storage, accommodation for a microSD card, microHDMI output, and large 10.1” screen, it seems a better deal than $499 for the 16GB iPad. Of course, the iPad does offer the Retina display and AirPlay. 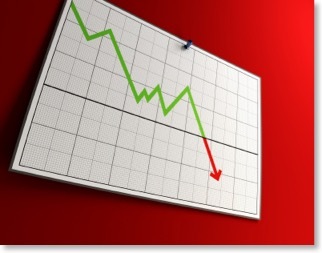 We see lots of promise with Android “Jelly Bean” and the 3rd party apps continue to improve. However, the software selection for the iPad is better and iOS is easier to use. We would love to see the design of the iPad improve to allow for more comfortable use over long periods. 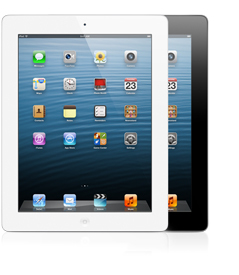 Perhaps that was a major reason for the introduction of the iPad mini which is reported to fit better in the hand.